At Shade Hotels, our mission is to create unforgettable experiences. Whether you're treating yourself to a weekend getaway in one of our luxury suites, setting up shop in our Executive Suite and getting down to business, or celebrating one of the most important days of your life in our gorgeous beach wedding venue, we'll do everything we can to ensure your experience is truly unforgettable. 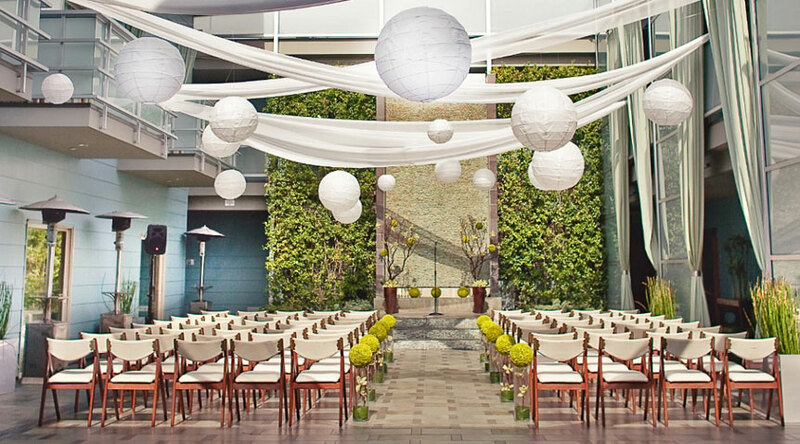 As a full-service luxury resort located in gorgeous downtown Manhattan Beach, we're proud to offer the perfect venue for weddings and events of all kinds – and if you choose to host your wedding or other event at Shade, you'll have the luxury of our many beautiful, functional event spaces to choose from. Picture your event in a unique space that transcends the traditional concept of indoors and outdoors. Our signature space, the Courtyard, is the heart of the hotel. 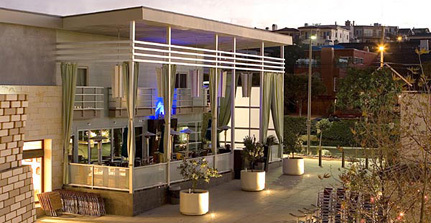 This extraordinary and unique environment offers the flexibility to accommodate any type of occasion, celebration or special event. Tables and seating arrangements can be configured in a number of different ways. An abundance of natural light provides a lively, yet gentle environment in which to celebrate, impress, work and entertain, day or night. Our professional and experienced staff is as flexible as the space. They know how to turn your vision into a reality. You dictate, we facilitate. The sky’s the limit. You’re made in the shade. Extending from zinc@shade, our breezy, open-air Terrace is perfect for an intimate party. To insure your privacy, our luxuriously oversized curtains can be drawn, creating quiet and serenity. The Terrace is the perfect venue for a welcome reception, casual brunch, or stylish baby shower. Whatever the occasion, the zinc@shade Terrace provides an atmosphere of elegant calm that will be sure to impress your guests. A true fusion of coastal living with Los Angeles nightlife. Start with a craft cocktail and some of our unique small plates or order a main and a glass from our extensive California wine list. Cool, hip, comfortable, inviting, we transcend the traditional beach feel with modern blurred lines that blend indoor-outdoor living. For ultimate entertainment, you can reserve the entire zinc@shade Lounge and Terrace. 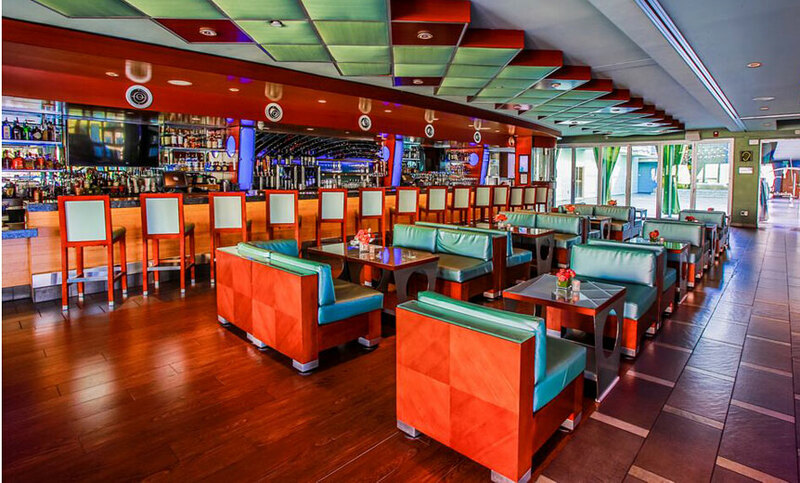 Treat your guests to delicious dishes and tantalizing cocktails, your event will be the one to remember. Adjacent, you’ll find an open-air lobby, perfect for breakouts or taking it ‘offline’ which provides you with an added level of convenience. Now just make a few selections from our expansive catering menu and you’re ready to get down to business. Ascend the stairs and discover 365 days of sunlight at our open air poolside retreat. 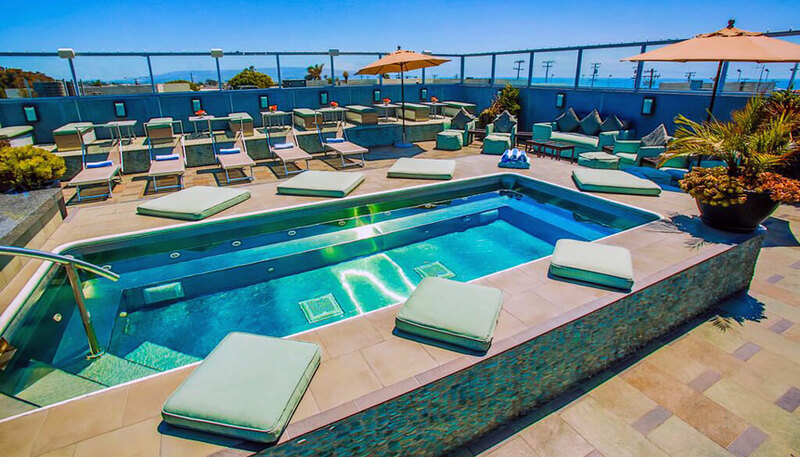 Our intimate rooftop Skydeck provides guests with a place to soak in the sun, entertain friends, breathe in the ocean air and experience our very own breathtaking Manhattan Beach sunsets. For an unforgettable setting, host a private event sure to keep your guests talking. We will provide you and your guests a memorable experience under the sun or stars. In the evening, redefine the atmosphere and like magic, the Green Room becomes the ultimate venue for your exclusive, cocktail style event or dinner party. Intimate and elegant, your soirée is sure to be the talk of the town. The beauty of choosing a hotel wedding or hosting any other event at Shade is that not only will you have access to all of these gorgeous event spaces – you'll also have the benefit of our professional, dedicated staff to make sure everything goes off without a hitch. So what are you waiting for? 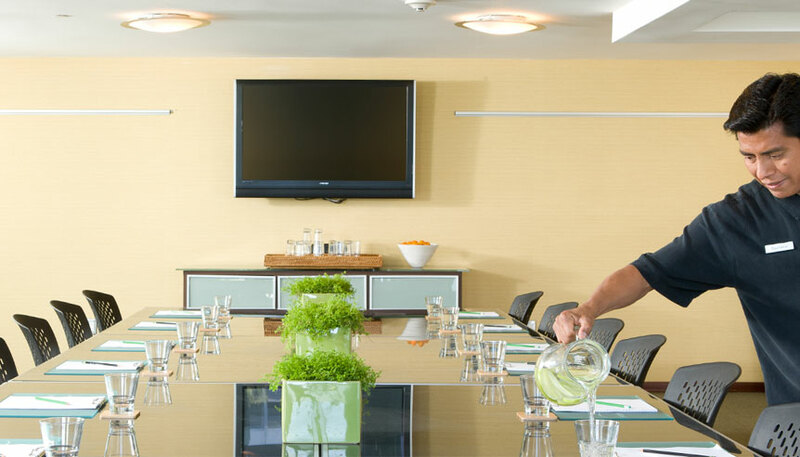 Whether you're looking for the perfect LA wedding venue, need a professional but luxurious space to host a conference or corporate retreat, or you simply want to host a getaway for family and friends, Shade Hotels is here to help you make it perfect. Contact us to start planning your event today!